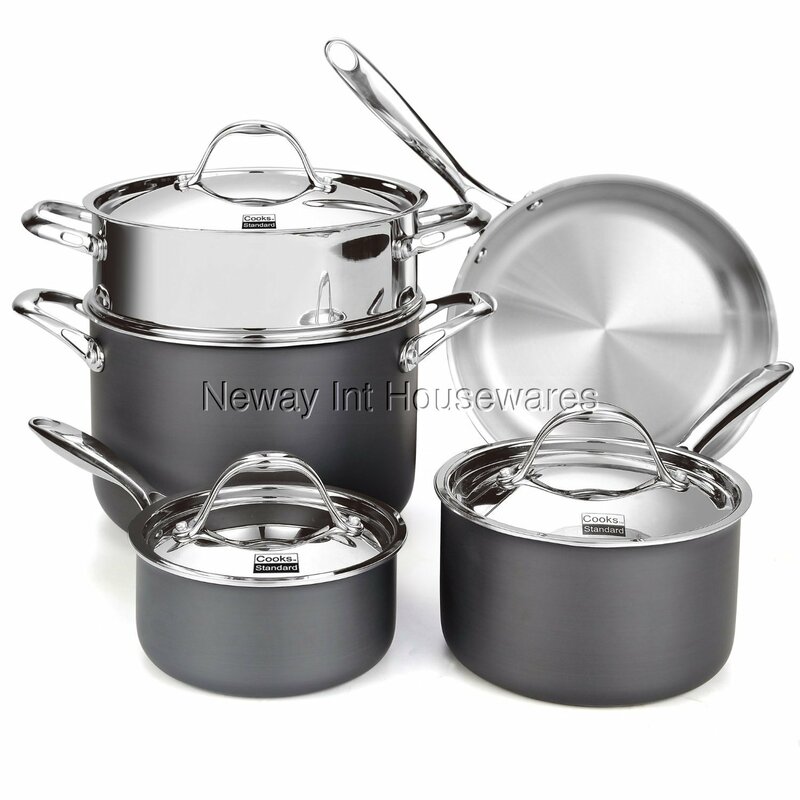 The Cooks Standard 8-Piece Multi-Ply Clad Hard Anodized Cookware Set includes: 1.5 and 3 quart covered saucepans, 8 quart covered stockpot, 10-inch open skillet, and a stainless steel steamer insert that fits the 8 Quart stockpot. Multi-ply clad construction is a combination of 18/10 stainless steel interior with an aluminum core and hard anodized exterior. Hard anodized alumnum is durable and excellent in heat control. Oven safe to 500F. Not for Induction use. Not Dishwasher safe, hand wash is recommended, For hard stains, use Bar Keepers Friend.